Welcome - Take a giant leap backward, and let the layers of California history and multi-cultural roots reveal themselves to you at Campo de Cahuenga. Here is the very birthplace of California, with proverbial footprints of the Tongva tribes to the treaty signers to the stagecoach riders and all the pioneers who strived to make us a nation from sea to shining sea. They all found their way through Los Angeles' legendary Cahuenga Pass. In a serene park of native plants, within the heart of the ever burgeoning entertainment industry of the San Fernando Valley, sits an amazing treasure in California history, Campo de Cahuenga. It is the perfect place to reflect on the storied roots and romantic beginnings of the American West. Once nearly lost to history, the Campo is now recognized and protected by the city of Los Angeles, the State of California and the nation. It is the very birthplace of California as we know it. The Campo is a place of celebrations. Each January, for more than half a century the events of 1847 are celebrated anew. 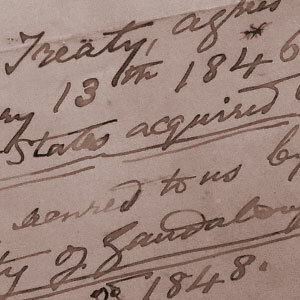 In a reenactment of the signing of a document by representatives of Mexico and the United States that became known as the Treaty of Cahuenga, signatures of General Andres Pico and Lt. Col. John C. Fremont ended hostilities in the state, creating Peace with Honor. In two years, without first becoming a U.S. territory, California was fast-tracked into the Union. Manifest Destiny was realized. We were one nation from sea to shining sea. All Californians became one people-Americans. 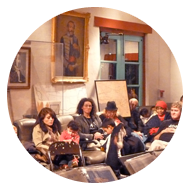 To this day, Campo de Cahuenga is a place for celebrating our multi-cultural contributions. 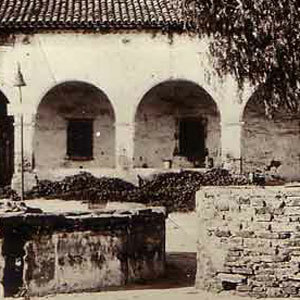 An adobe-like museum building dedicated by Los Angeles in 1951 serves the Campo today. 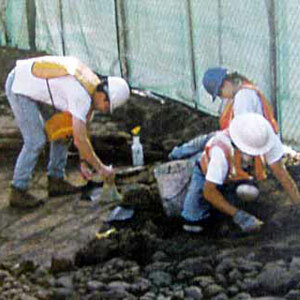 Outside, a display of the latest excavation of the original adobe is on view, one that extends under busy Lankershim Boulevard. All around are the footprints of history. Native Tongva peoples knew this site at the strategic ford of the Los Angeles River. The first Californios walked here. Missionaries, rancheros, gold seekers, pioneers crossed paths here. 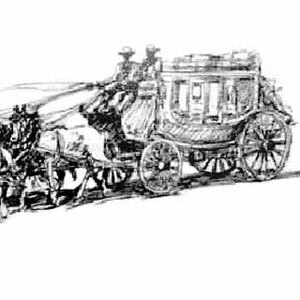 The Butterfield Stagecoach once stopped at the Campo. A Civil War encampment was erected here. By stepping into Campo de Cahuenga today, on its grounds or through our website, visitors become the newest chapter in the hallowed Campo legacy. Welcome to the Campo de Cahuenga. Bienvenidos a la Campo de Cahuenga. Managed by the Campo de Cahuenga Historical Memorial Association under the auspices of the Los Angeles Department of Parks and Recreation for future generations. Open 1st and 3rd Saturdays each month, 12 to 4. History - The signing of the Treaty of Cahuenga put the site of Campo de Cahuenga on the map, but chapter after chapter of events, from early civilizations to those happening today, are layered upon this history-rich soil. Start digging! Women of the Campo - While a good many notable men left their mark, and their famous signatures, at The Campo de Cahuenga, a handful of women were game-changers here, altering the course of California history. Here are the stories of three of them. She’s been dubbed California’s Pocahontas. Some liken her story to a scene out of Shakespeare. Despite the dramatic influence Santa Barbara matriarch Bernarda Ruiz had in the creation of the Articles of Capitulation, known as Treaty of Cahuenga, her role has been very nearly lost to the pages of history. Few had remembered that on the day of the treaty signing, January 13, 1847, only one woman was flanking the table where Andres Pico and John C. Fremont made history. Forty years later, when Fremont published his memoirs, Ruiz was finally acknowledged as the woman who, in a single conversation, brought those men to that table. In doing so, she changed the course of California history. Through her remarkable negotiating skills, the generous peace she proposed became the model for the Treaty of Guadalupe Hidalgo, bringing peace on a broader scope to the Southwest. The total number of lives she may have saved can only be imagined, but the positive impact on the lifestyles of the Californios is obvious. Only a few details are known of the two hours she spent speaking with Lt. Col. Fremont on Christmas Eve, 1846. Fremont and his aides were staying at the San Carlos Hotel on Santa Barbara’s State Street. His rangers pitched tents outside of town in readiness for a conflict that had every likelihood of subjugating and destroying Californio lives and lifestyle. Bernarda lived across the street from the hotel. Her motivation in seeking an audience with the legendary leader of the American forces is obvious. Her four sons were in harm’s way. 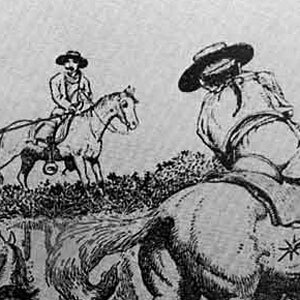 As riders in Mexico’s version of the Pony Express, their livelihood was also jeopardized, for Fremont’s rangers had commandeered their spare horses. Fearing the worst, she made a plan to get the horses back, and keep safe the four sons who were ready to fight with the Californios, to the death. 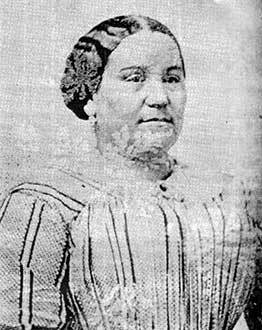 Bernarda Ruiz was an educated widow at the time with widespread influence and family connections. She was known to be wise and compassionate, possessing an audacious spirit. Her deceased husband, a Presidio soldier, is said to have been a descendant of explorer Juan Cabrillo who discovered the California Coast. Bernarda was born into the famous Lugo family, founding members of Los Angeles. She now appealed to her friend, Jesus Pico, to use his influence as cousin to Pio Pico to arrange a personal meeting with Fremont. Fremont agreed to a 10-minute discussion. They talked, with the minutes stretching to hours, in which she played her hand. Politically savvy, it is likely she appealed to his ego by convincing him the support of the Californios would further his dreams of a political career. Enemies made, on the other had, might forever put his life in danger. Fremont’s take on the meeting is relayed in his memoirs: “She wished me to take into my mind this plan of settlement, to which she would influence her people; meantime, she urged me to hold my hand, so far as possible. Naturally, her character and sound reasoning had its influence with me, and I had no reserves when I assured her I would bear her wishes in mind when the occasion came, and that she might with all confidence speak on this basis with her friends.” Fremont the “Pathfinder” became Fremont the “Peacemaker” with Bernarda’s concepts. Following the treaty signing, she returned quietly to Santa Barbara where she lived until 1880, to age 78. A fountain at Campo de Cahuenga bears a plaque in memory of her important role. On Fremont’s part, the Ruiz family got their horses back. John and Jessie Fremont were the celebrity “It Couple” of their time. Romantic and glamorous, with their lives of high adventure and political intrigue, today’s paparazzi would have been tailing their stagecoach in an instant. Jessie just might have been the first political wife in the modern day concept. Savvy in her own right, it’s been said she may have been the more brilliant political strategist of the pair. She learned the ropes, after all, at her papa’s knee. Jessie Benton Fremont was the child of Senator Thomas Hart Benton, the first Senator from the new state of Missouri. Doted on, Benton brought up his beautiful, precocious daughter in the political arena, as if she was a son. Jessie was known to have spent countless hours with Benton in his study observing the ins and outs of power. Imagine his chagrin when, still a teen, she eloped with the dashing explorer and set out for the Wild West instead of polite society. Time healed the estrangement, for ironically, it was Benton’s own son-in-law who was to deliver to him, and the nation, his ultimate political dream. 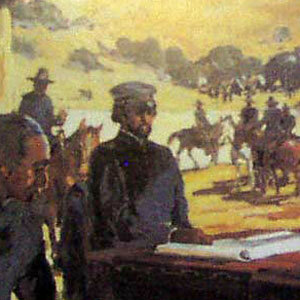 An avowed expansionist who was a foremost advocate of the Jeffersonian concept of Manifest Destiny, he saw his goal fulfilled with the signing of the Articles of Capitulation at the Campo de Cahuenga on January 13, 1847 by Fremont and Pico. Jessie, meanwhile, was becoming a role model for 19th century women around the country. Well bred, well traveled and well educated, she gave voice to her views, both vocally and in print. She became a published writer. As the Victorian age and its mores dawned, with women still disenfranchised from the political process, the willful Jessie Benton Fremont was more than adept at straddling the fine line between social propriety and “activism” of the day. Women emulated her, flocked to her, and loved her style and grace. Life as the wife of John C. Fremont tested her vows, for they lived for richer and for poorer, with trials and tribulations as they moved from West to East and West again, winning and losing elections, fortunes and favor. Retirement brought the couple back to California, this time to Los Angeles, a far different and much more populous place than the day Fremont first proved the pen is mightier than the sword in the Cahuenga Pass. A home was purchased for them on Hoover Street, with Jessie living in comfort, still with adoring friends, until her passing in 1902. While her husband died and was buried in New York, her remains are here. Artifacts of her life and her travels are at Campo de Cahuenga, as is a letter penned in her own handwriting attesting to the location of the treaty signing. Keeping her parents’ legacy alive, daughter Elizabeth (Lily) Benton Fremont, an acquaintance of Campo de Cahuenga’s “first lady” and historian Mrs. A.S.C. Forbes, attended at least one re-enactment of the Treaty Signing. This was long before the new Campo de Cahuenga was built, for in 1917, on January 13, Lily Fremont joined the newly formed Landmarks Club meeting at 4th and Hill Streets for the Re-enactment ceremonies. 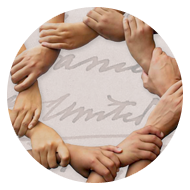 The Fremont family legacy continues today; the peace and brotherhood is still celebrated annually. Mrs. A.S.C. 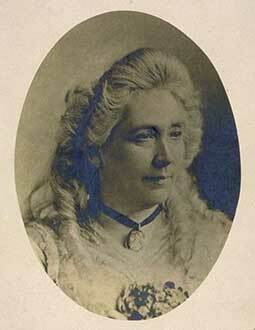 Forbes was well versed in the Campo’s significance to California and the entire U.S.A. As a champion of California’s rich cultural history, she and husband Armitage Sutton Carino Forbes, a Renaissance man in his own right, had immersed themselves in the early Spanish roots since their arrival in the state in 1895. Setting out on a photographic tour of the mission settlements, interviewing and mapping along the way, the couple not only established the original route of the King’s Highway, as El Camino Real was known, but motivated the missions to preserve and restore their rich heritage. Now her attention turned to the Campo de Cahuenga. Having befriended Jessie Benton Fremont, wife of John C. Fremont, and their daughter Elizabeth (Lily), she actively pursued the search for the missing treaty. Sometime prior to 1923, with the assistance of pioneers Charles Prudhomme and Don Eugene Plummer, her research led her to the Bancroft Library at the University of California Berkeley. Here, amongst the private papers of Jose Antonio Carrillo, who penned the Treaty, was the missing document that certified the Campo’s extraordinary place in history. 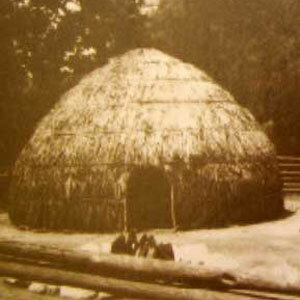 As she laments in her book, had the documentation been available years earlier, the original Casa de Cahuenga may have never fallen into ruins and the precise boundaries been in dispute. Now, along with affidavits she collected from witnesses present at the signing, she moved forward with her renowned zeal to have the site purchased. The History and Landmarks Club was formed, eventually leading to the Fremont-Pico Park. Mrs. A.S.C. Forbes lived to see the new Campo de Cahuenga structure erected on the site. Nearing 90 and too ill to attend the building’s dedication ceremonies, held just past the centennial of the Treaty, she was active in its creation and the new Memorials Association that would continue her work, preserve the mementoes and organize the Annual Reenactment ceremonies of the historic signing. It is now the Campo’s turn to honor its “mother”, forever grateful Mr. and Mrs. Forbes chose California as their adopted state. Born Harrie Rebecca Piper Smith, native Pennsylvanian and descendant of John Piper, Revolutiony War era patriot of Piper’s Run fame, history and preservation were second nature to Mrs. Forbes. 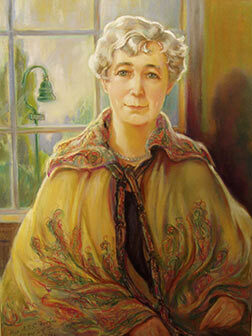 When her husband died in 1928, she continued their joint work for more than two decades. She was ever Mrs. A.S.C. Forbes–no first name needed! Some will remember her as owner of her own foundry, designing and producing mission bells large and small. Some will remember her for bringing school children of coastal communities together to toss floral wreaths into the Pacific in tribute to naval heroes lost at sea—a hallowed custom she began in 1900 and the U.S. Navy adopted for Memorial Day based on her example. Many will remember her for her books and early photographs, deemed fascinating and important to this day. 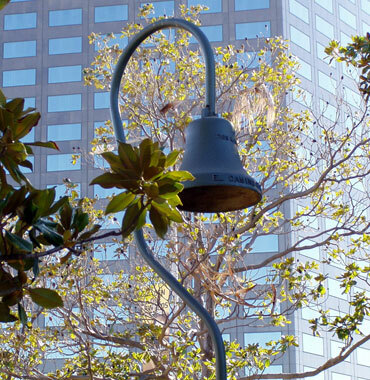 There is just one place to remember her most—Campo de Cahuenga—where the nicely patina’d bell she placed on site in 1910 still welcomes all. Blog - We have history stories to share, and notices of not-to-be-missed current events. We would like to hear from you, too. Maybe you have a Campo memory, or an artifact, or a relevant question to put out there. We invite you to share on our blog, too. Join Us - This invitation is extended in multiple ways. Be part of our team, or send your financial support to help preserve our history and expand our programming. Or, stage your own event in our beautiful, steeped-in-history setting. 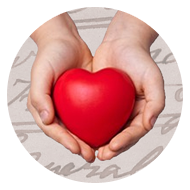 Your donations mean the world to the Campo de Cahuenga. 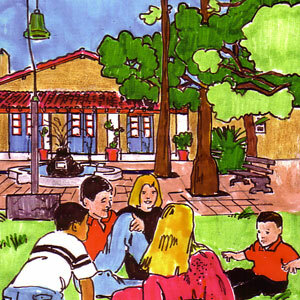 We seek to do more programs and events for school children and adults, and extend The Campo’s open days. We welcome cash contributions by check payable to Campo de Cahuenga or through the Paypal link here. We also welcome relevant artifacts for display and related books and research materials for our growing Library Collections. 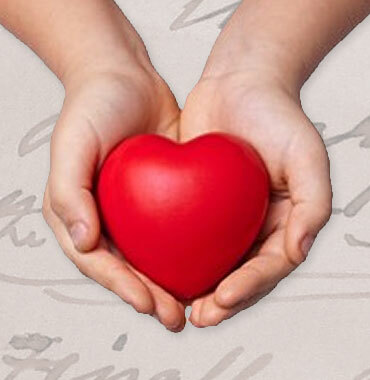 For these in-kind donations and inquiries, contact us through our email link. 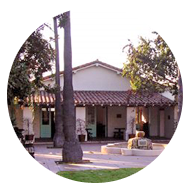 Campo de Cahuenga Historical Memorial Association is a 501(c)(3) non-profit organization. Becoming a member of The Campo has its privileges. You will be first to know about our goings on, and given priority reserved seating at our events with your RSVP. You will receive a 10% discount on our Campo souvenir and gift items. You will receive a free drink at our Reenactment Event. You will have on-site use of our library materials. You will receive a private guided tour of our site for yourself and your group with reservations. 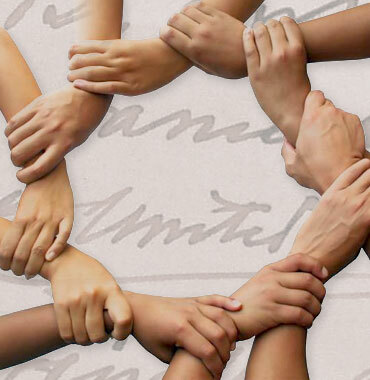 Help us make our site’s history relevant to all. You can help excite local school children, tourists or any who are learning about us for the first time. 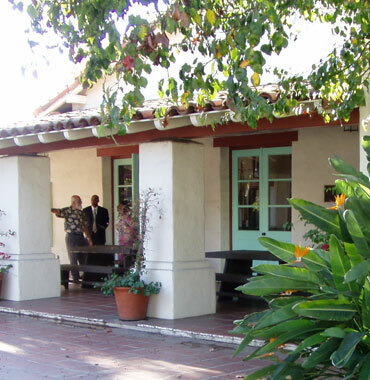 We welcome help with our events in many capacities, and with outreach, hosting and docent tours, grounds beautification, library and research and other special projects. Our historic, romantic, convenient and accessible location may be the perfect site for your next private party, event or meeting. Contact us about availability, rental fees and all the particulars. We also offer rentals of our parking area and the site for filming projects. 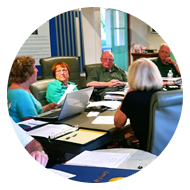 Our Officers and Board of Directors serve at the pleasure of our membership. We bring a broad range of experience and skills to the table as a “Working Board”, in conjunction and cooperation with the Los Angeles Dept. of Recreation and Parks. Co-owner Knudsen Design Studio; former Director Financial Planning, CBS Television Network. BA History, MBA. Life resident of North Hollywood; retired LAUSD social studies teacher; past secretary and president of the Mid-Town North Hollywood Neighborhood Council; member LAPD Community-Police Advisory Board of North Hollywood. Graduate of Cal State Northridge. Member Huntington Westerners; Past VP, Baton Rouge Civil War Round Table. Graduate of St. Mary’s College, CA. ; MA, L.S.U. Freelance writer/author/creative director/artist; former retail advertising executive; Executive Committee, Los Angeles As Subject; Recording Secretary, San Fernando Valley Historical Society Board; Wikipedia editor, providing content on historical California and women in the arts; member Hollywood Chapter DAR. B.S. Northern Il. U. Board member, Rotary Club of Pasadena; Pasadena Tournament of Roses, Inc.; retired corporate securities lawyer, Dewey Ballantine LLP, NYC. ; Lt. US Navy– Naval Flight Officer with 1000+ flight hours Desert Storm and Somalia and 250+ aircraft carrier landings. Graduate Claremont McKenna College, Political Science & Economics; JD Columbia U. Law School. Second generation Los Angeles native; retired television producer of “The Young and the Restless”; recipient of two Daytime Emmy Awards; began career at CBS, working her way up from Administrative Assistant to producer; 20+ yr. volunteer at Academy of Television Arts and Sciences; LA36 Board; First Vice Regent, Hollywood Chapter DAR; member PEO. Nancy and husband, Emmy winning editor Tucker L. Wiard, are residents of Sherman Oaks. An 8th generation Californian hailing from the esteemed Carrillo family, making her a direct descendent of Jose Antonio Carrillo, the prominent Californio who was not only Mayor of Los Angeles but wrote and translated the Articles of Capitulation (the legal framework for the transfer of Calfornia from Mexico to the U.S.) Graduate of Loyola Marymount University; an award-winning documentary producer. 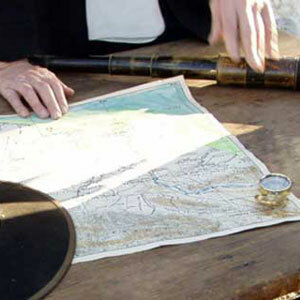 Events - Our signature event takes place each January with the annual reenactment of the signing of the Treaty of Cahuenga in 1847. 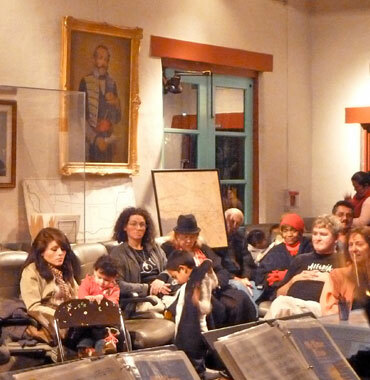 We also celebrate the birthday of California each September, and host Open House the 1st and 3rd Saturdays each month. Check our calendar for more activities and important dates in the history of the Cahuenga Pass. 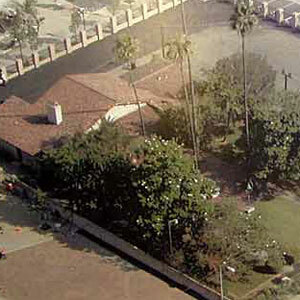 The Campo is managed by the Campo de Cahuenga Historical Memorial Association under the auspices of the Los Angeles Department of Parks and Recreation for future generations.